The Nerd Herd @ the Vegas Interbike Convention | Self-Balancing Unicycle | Focus Designs, Inc.
Hey y’all, D-Mart here coming at you with some awesome news as far as the SBU Nerd Herd (Vancouver, WA division) goes! We’re going to Vegas for the 2009 Interbike Convention and we are PUMPED! I’ve helped Focus Designs on a few video projects in the past (here and here) but I have to say that I’m excited for the crew in Vegas to see this one! It will be playing in the background as we meet some bike shop owners and show them how they can start their own Nerd Herd in their own town. If you would like to see your bike shop owner carry these have them send us an email here. 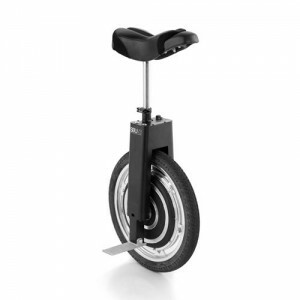 As far as the day-to-day here around the office, we’ve been up to no good causing panic and confusion with our one wheel wonders, the ONLY retail Self-Balancing Unicycle. Don’t get me wrong, we also use our noble steeds for noble deeds. 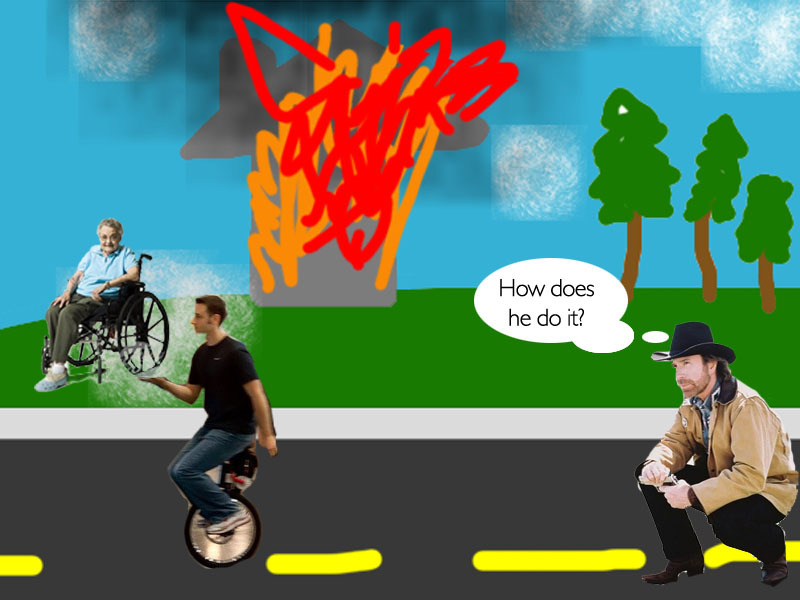 In fact, last week I saw Daniel pull 3 old ladies out of a burning building while riding his SBU. I’ve drawn out a detailed picture so you can see that Daniel Wood is more than just a hero for nerds, he’s also a hero to the elderly! I bet you all didn’t think that I was a professional graphic designer! Oh, and by the way, as this was all going down, I stopped 2 robberies in progress from happening by chasing them down the streets while on my SBU. These things are crazy useful. Next week I plan on saving somebody from identity theft while on the SBU. I know, they are big goals but it’s like my mom always said, “Dream big on your unicycle, David… dream big”. That and her other advice of “Please keep your pants on in public” are what really shaped me into the man I am today. Well, we don’t just let anyone join – You have to prove you are worthy of the ‘Herd. You have two main routes. You can write a letter. Here is basic format: “Dear Your Nerdliness, I feel that I am ‘nerd’ enough to join your crew for these reasons (list reasons). Please review my application to become a loyal member of the NERD HERD and gain sweet access to swag” Email it to us here. 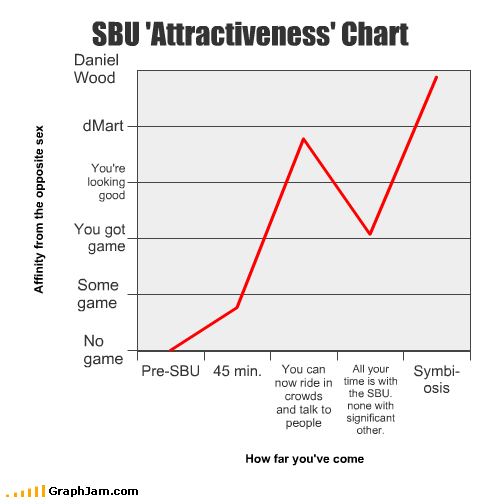 And then there is the more direct route: Buy an SBU and join instantly.